The term ‘brain injury’ covers a wide-ranging spectrum of troubles that may affect you as result of an accident, which can occur in many different ways. Whilst you may be only experiencing minor symptoms such as headaches and nausea, these can still have a major effect on your quality of life, even disregarding the more severe cases that could involve major brain damage that will certainly have a significant impact on your future. If your brain injury has occurred as result of an accident that you believe to not be your fault, then this guide and our company can easily assist you in making your brain injury compensation claim and ensuring the maximum chance of your claim being awarded. A guide for brain injury accident claims. What to do if you are involved in an accident causing brain injury? Claiming compensation for a brain injury caused by a road traffic accident. Claiming compensation for a brain injury at work. Claiming compensation for a brain injury in a public place. Head injury compensation Case Studies. Judging the severity of a brain injury. How to begin a brain injury compensation claim? What can be claimed for after an accident causing a brain injury? How much can I claim for a brain injury? No win no fee brain injury claims. Why choose us as your claims service for a brain injury claim? Brain injuries are among the most severely debilitating injuries you can sustain. They can seriously affect your quality of life, even if the injuries are just of minor or moderate severity. Most importantly, if you have suffered a brain injury as result of an accident that was not your fault then you may be entitled to compensation for said injury. This guide exists to inform and assist you with your potential brain injury compensation claim. It comprehensively covers the most important issues that you must consider if you believe you have a legitimate claim and details how to ensure you get the best compensation possible. It considers the different situations in which you may have suffered your brain injury, such as in a road traffic accident; an accident at work; or in a public place, alongside how you should best go about making your brain injury compensation claim. If you are involved in an accident that has caused you brain injury and you are seeking compensation, gathering evidence of the accident is the most important first step to ensuring that you have the best possible chance for your claim to receive maximum compensation. Firstly, you should gather witness statements from those surrounding you when the accident occurred. For example, if you have suffered a brain injury due to a falling roof tile within a public library then you should get statements from others within the library to confirm the sequence of events as you describe them. This ensures that whoever you are making your claim against cannot undermine your case by challenging whether the accident in question occurred as you describe. Secondly, you should find evidence that the party you are making the claim for compensation against is responsible for the accident that caused your injury. To return to our example, you could find evidence that the library ignored health and safety inspector’s advice when an issue with the roof tile was found earlier. This wilful ignorance of the problem that caused your accident, and subsequent brain injury, influences how responsible the party in question is and how much compensation, if any, you can receive from them. Thirdly, you should ensure that you have evidence in support of the severity of the brain injury that you sustained as result of the accident. For example, this could be a CT scan you underwent after the accident that showed significant tissue damage, or alternatively the ambulance services initial response report if they were called to the accident. This ensures that you can receive the maximum brain injury compensation possible, as head injury compensation calculators focus upon the severity of the brain injury that you claim to have sustained. Road traffic accidents are a common cause of brain injury in modern society. As studies have shown, they account for 14.3% of brain injuries reported, beaten only by falling which accounts for 40.5% of reported brain injuries. Clearly, this has become a major danger in modern life, and if you have been involved in a road traffic accident that resulted in a brain injury you could be owed compensation. This accounts for not only inter-vehicular accidents, which are commonly believed to be the most common form of road traffic accident, but also bicycle accidents, both involving and not involving cars or pedestrians, and pedestrian accidents. If you have suffered a brain injury as a direct result of a road traffic accident, you may be entitled to compensation based upon the previously mentioned criteria: if you can prove the accident occurred as you report it, if you can prove the extent of the injury, and if you can prove the liability of the other party for the occurrence of the accident. For example, if when crossing the street you are struck by a plumbing company’s van which runs a red light you could gather information such as witness statements or CCTV footage that confirms the account of the accident that you give, a CT scan which highlights the serious trauma that has occurred as a result of your brain injury, and records which state that the driver of the van was not properly trained by the company. In this case, our company would be able to confidently represent you and ensure you received the maximum amount of compensation possible for your injury. Brain injury can also commonly occur in the workplace. Falling makes up for over 40% of brain-related injuries, and many of these falls can occur in the workplace. It can be easier to claim compensation for a brain injury at work rather than in a public place or from a road traffic accident, as there is a clear liability from your employer for accidents that happen and clearly stated health and safety regulations to use as evidence for said liability. To successfully claim compensation for a brain injury that you sustained through an accident at work, you must provide evidence for the accident occurring, evidence of the medical damage that the accident has caused you, and evidence for your workplace being liable for the injury and subsequent damage. For example, if you slipped over on an unmarked wet patch down a flight of stairs and hit your head, thereby causing you a moderate brain injury with effects such as partial paralysis and persistent headache, you could provide: testimony from other workers the wet patch was not properly marked in order to minimise the chance of an accident occurring, a CT scan from a hospital that shows the full extent of the damage done to your brain, and the health and safety regulations that should have stopped your workplace from allowing a wet patch to be left unmarked. When attempting to claim compensation for a brain injury that you sustained as result of an accident that occurred in a public place, it becomes more difficult to determine who exactly may be liable for the damage done to you and thereby responsible for paying you compensation. However, the basic requirements for making a brain injury compensation claim do not change: you must provide evidence for the accident occurring, evidence of the medical damage that the accident has caused you, and evidence for an individual or group being liable for your injury. For example, if you are shopping inside a supermarket and a shelf falls onto you and causes minor or moderate brain damage, you could provide: evidence that the accident happened, such as internal CCTV or witness statements from others within the supermarket; evidence of the severity of your brain injury, such as a report from your doctor which clearly states the extent to which you are suffering; and evidence of the supermarket being liable for the accident itself, such as a lack of repair staff to ensure that the shelves were secured properly to the walls. One example of a successful head and brain injury compensation claim is that of a 2006 claim for brain injury compensation. The claimant who won £286,000 as result of the loss of potential earnings and cost of rehabilitation after a severe brain injury that they suffered in a road traffic accident stopped them from entering into further education at a university, as they had to withdraw their application. This highlights how your case could win in court; not only was the injury traumatic, but it also had a significant effect upon the future life of the claimant, by preventing them from completing their education. injury compensation calculator prioritising this aspect in determining your head injury compensation amounts. Brain injury severity can be split up into four different categories: minor brain damage, moderate brain damage, moderate to severe brain damage, and very severe brain damage. 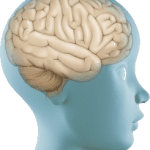 Minor brain damage – tends to be of relatively slight severity, and as such if you make a minor head injury claim then your compensation will be significantly lower than a moderate or severe brain injury claim. Minor brain damage is characterised commonly by either resulting in no loss of consciousness or loss of consciousness lasting no longer than 20 minutes. Other common symptoms of minor brain damage that you can recognise are nausea, dizziness, and concussion, although for concussion compensation how much you can be compensated does not increase based on duration or severity. Moderate brain damage – more serious than minor brain damage and can be typically characterised by a loss of consciousness that lasts between 20 minutes and 6 hours. Other symptoms that you should be looking for are a persistent headache, seizures, and uncharacteristic aggression and agitation. This results in your potential compensation for moderately severe brain injuries being significantly higher than the compensation you may be given for minor brain injury. Moderate/severe brain damage – can be extremely serious and is normally characterised by a loss of consciousness that lasts for any period longer than 6 hours, with very severe brain injuries potentially causing a loss of consciousness for longer than 24 hours. However, other symptoms can include long-term memory loss, blood and other clear fluids coming out from your nose and ears, and hearing or vision loss. It is because these symptoms are the most dangerous and serious out of all of the different categorisations of brain injury that you will receive significantly higher compensation than the minor or moderate brain injury compensation amount if your claim is found to be legitimate. Under the close guidance and advice of our company, it can be amazingly simple to begin the process of your brain injury compensation claim. As previously stated, the first step for you to take is to collect the necessary evidence to prove the claim that you are making concerning your brain injury. This includes proof of the accident, proof of your brain injury, and proof that the party you are making a claim against is liable for your accident. Then, after this evidence has been collected, you can call our company for free on 0800 073 8804 to get clear initial advice about whether you should take your claim further and what additional evidence you may need to collect to ensure the legitimacy of your claim. If this goes well and we believe you to have a legitimate claim then, we will offer to represent you legally, and help you make a claim for compensation. As an added bonus to this, our company operates under a ‘No Win, No Fee’ policy that acts as an added safety barrier to your claim and your finances that will be explained in more detail below. General damages – these damages cover the direct effects of your brain injury upon your quality of life, such as long-term physical problems and emotional suffering as well as physical pain. Special damages – these damages cover less direct and quantitative effects of your brain injury, such as the loss of future earnings as result of long-term problems that arise as result of your brain injury. Financial damages – these damages cover the direct financial costs related to the injury, such as the cost of adapting or moving house to better suit your new living requirements, the cost of care at home if it is needed, or the cost of private specialist schooling. Medical costs – these costs are also commonly claimed in brain injury compensation claims and cover a variety of costs such as access to non-NHS health care, either privately or internationally seeking treatment that is not available on the NHS, and long-term rehabilitation to improve your chances of fully recovering from your brain injury. Travel costs – these costs that are commonly claimed and include cover of travel to and from hospital appointments or to specialist facilities like special education facilities that otherwise assist in your rehabilitation. There are many different things which you can claim compensation for, not only the commonly claimed medical expenses but also other costs directly and indirectly related to your brain injury. The success of your head injury compensation pay-outs, like all compensation claims, rely upon the severity of your brain injury and the evidence that you are able to represent. Some of the worst aspects of filing a brain injury claim to try and get compensation for your accident are going to be the legal fees that you may be charged in order to fight for the legitimacy of your claim in court. These fees can be incredibly hard to meet, especially if you are already under financial strain as a result of the brain injury that you have suffered, and in some cases could even exceed the amount of brain injury compensation that you are awarded. However, if you choose our company as your claims service for making your brain injury compensation claim, then we will ensure you never have to suffer under the weight of these heavy legal fees due to our policy of offering ‘No Win, No Fee’ claims. These claims, also called a ‘Conditional Fee Agreement,’ guarantee that your financial stability will not be undermined as a result of your brain injury claim. This is due to the fact that you will only ever be charged for our services if your brain injury compensation claim is successful in court. If your case doesn’t go well, then you have no need to pay legal fees. This provides a solid base for any individual, regardless of how limited their financing options may be, to take their brain injury claim to court. As a company, we care about your ability to help people navigate the legal system, especially if you have suffered from an accident and find yourself unable to find justice due to the instability that such a process would create within your life. We additionally limit the maximum fee charged to 25% of your total compensation when you do win your case, thus ensuring your legal fees do not exceed the amount of compensation that you receive and actually leave you worse off than before you made the brain injury compensation claim. When you use this guide to consider whether or not you have a legitimate brain injury compensation claim, you should consider choosing our company as your claims service for your brain injury claim. Our company will provide you with strong and stable support and assistance through what is certain to be a difficult time in your life. You will find our advice easy to understand and fair, proven by our years of experience dealing with brain injury claims. Our hands-on, ‘No Win, No Fee’ approach to dealing with your brain injury claim will ensure that you receive the maximum possible compensation with minimal interference and stress created within your life. We also make sure that your case is handled with due care, and no action is taken that could cause your brain injury claim to be overturned. No matter how legitimate you may believe your brain injury claim to be, or how much you believe you will receive adequate compensation for your accident and subsequent injury, it is essential that you investigate how much compensation you could receive. To leave your claim without any formal investigation or advice made by a claims service is to simply allow whatever party you believe to be responsible for your accident and injury to escape from justice. If you have suffered a brain injury of any kind that you believe to be someone else’s fault, such as your workplace, a private firm, or another individual, it is always worth getting advice on your potential claim for neck injury compensation.